Nowadays, insurance policies have become a very part of our lifestyle. Many of us just can’t even think of planning their finances without certain insurance policies. There are obvious reasons behind this. Today, I’m able to write just because my father had bought a small term life policy, which helped us pursue our education and deal with all other expenses when my father passed away prematurely. All the years since then life insurance served as an important safety net for me and my family. Nobody knows when they have to stand up to respond to the call. Anyway, there are two types of people who must own life insurance. 1. Individual who owns large volume of estate and is subject to estate tax. 2. Individual who has many dependants and they’ll suffer in case of his/her death. Though the first condition is limited to a few people, the second situation applies to perhaps all of us. If people counts on you, you should have life insurance for their survival when you’ll be no more. All being said, there are many kinds of insurance those you should never go for. Here are four of them. 1. Guaranteed issue: You must have seen the ads during late-nights in television. The USP of guaranteed issue is once you purchase, you can’t be turned down. Doesn’t it sound like a no-brainer? Whatever they say to lure you, there is far less about this policy that meets your eye. If you purchase a guaranteed issue and die within two years, most policies will simply return the premium you paid. 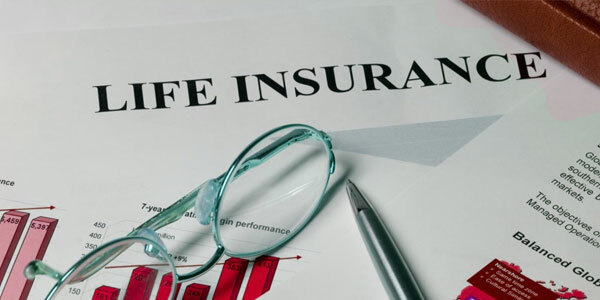 Moreover, the death benefits of guaranteed issue life insurance are very low and the premiums are simply mountainous. Check for alternatives. Get in touch with your agent and discuss in detail regarding better policies, like senior life insurance. 2. Life insurance for children: Generally speaking, life insurance for children is simply a wastage of money. Most of the children are born healthy and are supposed to live a long life if the Almighty doesn’t act otherwise. Since children don’t earn and have no dependents, you really have no reason to insure their lives (though might sound negative, can’t help). But do all these mean that we are asking you to stop loving your kids? No, we are simply asking you not to love the insurance companies so much. 3. Whole life/universal life insurance: You need to understand that life insurance is just a financial tool and not an investment. In whole or universal life insurance, the company promises to invest your extra dollars in profitable accounts and hence take higher premiums from you. Though this type of investment is very expensive, you don’t get any fruit because the expenses eat up everything. In my 15 years career as a financial planner, I’m still waiting to see if any whole or universal life actually pays off for any client. Few people know about it, but it’s because of these whole and universal life policies that insurance companies afford high rise buildings and Super Bowl ads. Life insurance is a very important tool. Don’t get lured by the slick sales gimmicks of guaranteed or universal life. Just go for regular life insurance and buy only the coverage your family needs.